To the T&L industry strategic insider…. For details on how to explore this first-of-its-kind opportunity, please read on…. Throughout your industry are promising acquisition targets. I’m talking about the rapidly growing for-hire and global freight carriers, 3PLs, freight brokers and forwarders, intermodal shippers, telematics suppliers, e-commerce fulfillment providers, and others. You know who they are. They’re the smaller, nimbler, disruptive firms that know how to operate faster, more efficiently, more innovatively, more economically. You may have considered such an acquisition in the past. But there’s a problem: Outright acquisition is dicey. The risks include capital commitment, strategic fit, differing business models, clashing cultures. Moreover, many of these firms are family owned and the principals are often reluctant to sell or give up control. Now, there’s a better way to capitalize on these opportunities: by taking a minority stake in a great emerging-growth, lower-middle-market, high-potential T&L company. The advantages of this strategy are numerous. I’ve outlined some of them below. But another obstacle exists: There has never been a systematic way to screen these companies, perform due diligence, obtain financials, and fully assess their potential as investment opportunities. Until now. It’s their problem—and your opportunity. First, why would you pursue this strategy? Ron is right. Moreover, the smaller industry players face challenges of their own—and these challenges present opportunities for you. . . .
You see, the up-and-coming target companies also have a growth problem: too much of it and too fast. Why is that a problem? Because growth eats cash flow. It puts fast-growing firms at enormous risk because they have limited or nonexistent access to needed capital. Investments in new plant, equipment, technology, and acquisitions require large outlays of cash—yet revenues lag behind. This capital shortage is a major headache for T&L small-company owners, especially those who have maxed out their bank lines, personal guarantees, and loans from friends and family. They’re on the verge of reaching that next level, yet they can’t obtain the capital they need to scale. What are their options, then? Their only alternative capital source—private equity—turns away even the most promising companies doing $10-50 million in sales or $500,000 to $5 million in EBITDA. These firms are either too small or don’t require enough funding to compensate for investors’ work and time. So owners are trapped in a corner—their sources exhausted, with nowhere to turn for much-needed funding. But as often happens, one person’s plight is another’s opportunity. . . .
A strategy with multiple benefits. Despite their reluctance to sell out, the owners of many of these rising-star companies are receptive to parting with a minority stake. You can come to their rescue—by taking a stake in their success. Poised for rapid growth, these firms offer strategic industry investors valuable benefits—without the risks of a direct acquisition. Here are some of the advantages. . . . Instead of a risky acquisition plunge, you dip a toe in the water by purchasing a small equity stake. This strategy can strengthen your relationship with a key customer or supplier, allow you to act as a mentor, access a new technology or business innovation, or open a new distribution channel or sales territory. You harness their skills and learn from them. You forge trust with management and are better able to determine if the company’s business model and company culture would be a good fit with yours. Then, later on, you have the option of buying the remaining equity and owning the company outright. When minority owners decide not to acquire, they are often able to sell their stakes at a profit. All the while, you can earn a risk-adjusted return on your invested capital. We can help make this happen. Who are we? We’re Main Street Equity, a new online open-capital marketplace specifically designed to vet and bring to market the most promising T&L companies. Main Street Equity was created expressly to match strategic investors and capital-raising companies in the T&L industry, facilitating the sale of debt and equity securities. Register now for our First-Look Panel. Sign up now at our Priority Reservation Form on this page. This is a first. Never before has there been an organized marketplace to efficiently handle minority investments in smaller T&L companies. For qualified investors, Main Street Equity makes the investment and decision process easier. We do all the prep work. We help organize and structure the deal. We find the best prospective targets, connect you in confidence with management, and expedite everything to reduce time and expenses. We ensure that the components are complete and represent an accurate picture of the company and the opportunity. Securities are sold through North Capital Private Securities, our FINRA-licensed broker-dealer partner. Working with North Capital, Main Street Equity screens candidates for high-growth potential. We perform high-level financial and SWOT analysis. Due diligence on corporate governance and major contracts. And background and reference checks on principals, major suppliers, and customers. We assemble the required components for the offering and curate a comprehensive intelligence package for qualified investors to evaluate in a dedicated deal room on our website. You’ll find all the information you’ll need to speedily assess the opportunity and conduct due diligence: pitch deck, financials, term sheet, cap table, purchase agreement. There’s more. You’ll be able to meet and grill company management in an online road show. We also host periodic webinars and Q&As. When two parties are serious about a deal, we’ll schedule a one-on-one meeting. Our guiding principle is transparency: to provide investors with accurate information to allow them to assess the prospects of a candidate and make a sound investment decision. In sum, Main Street Equity is your one-stop solution, providing everything you need. Who’s on the Main Street Equity team? We’ve assembled a remarkably talented group of people. . . .
A visionary startup entrepreneur. The former publisher of Inc. Magazine. The founder of America’s leading crowdfunding broker-dealer. A nationally recognized securities/M&A attorney. And a top T&L industry investment banker. Here’s a closer look. . . .
John Zahner is a visionary startup entrepreneur, co-founder of venture-backed Individual (IPO); NewsEdge, acquired by Thomson-Reuters; eLogic, acquired by Reed-Elsevier; venture-backed PermissionTV; and London-based encryption-software pioneer Qredo. Earlier he engineered the sale of his family’s business Fly Fisherman magazine to Ziff-Davis and his own publishing company to Rodale Press. Ron Lentz is practice leader for T&L at investment bank G2 Capital Advisors. He is former CEO of WLG Logistics, a $220-million freight forwarder, and former global VP of sales and marketing for Ryder Logistics, which he grew over 12 years from $100 million to $2 billion in sales. 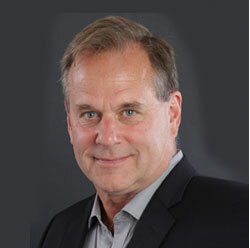 Jim Dowd is founder and managing director of North Capital Private Securities, America’s leading registered broker-dealer focused on distribution of private funds and the securities of private companies through crowdfunding marketplaces. He is former senior managing director and head of the hedge-fund advisory and fund-of-funds businesses at Bear Stearns Asset Management. Scott Hambley is a graduate of Dartmouth College (The Tuck School of Business) after which he joined IBM, following in the footsteps of both his father and grandfather, who sold the first computers alongside Thomas J. Watson, Jr. Scott led the first enterprise sales team at Individual – inventor of intelligent, software-customized business news feeds distributed over the Internet to knowledge workers in the Fortune 500 — that grew to 50 sales professionals, paving the way for the company’s successful IPO. Bill Asher is recognized by Best Lawyers in America as one of America’s top corporate securities attorneys, representing both venture investors and private companies through all stages of financing, including public offerings and M&A exits. Tony Lewis is managing partner of Matterhorn Legal, a group of attorneys formerly with the M&A group of Wilson, Sonsini, Goodrich & Rosati’s office in San Francisco. He and his team share a lofty goal of bringing technology to the legal profession in new ways that reduce costs and increase efficiency for clients on both sides of a transaction. Get Advance Notification . . . and Other Priority Privileges. We’ve designed Main Street Equity as a marketplace specifically for you—the T&L strategic insider. For the first time, you can invest in your own growth by taking stakes in the best and most promising smaller industry players. Now, for a relatively small investment, you can unlock and participate in the growth prospects of these rising stars. And in the process, help solve their capital problem. It’s a winning situation for everyone. Here’s Ron Lentz again. . . .
Register now for our First-Look Panel. Qualified investors will receive previews of offerings before they appear on the Main Street Equity marketplace website. Please sign up, without obligation, at our Priority Reservation Form located on this page. Questions? Send me a message or call my cell number, below. I’ll give your concerns my personal attention and provide any further information you request. P.S. Don’t forget: For the first time, you can harness the potential of the T&L industry’s most promising players: fast-growing smaller firms, incubators of the best ideas for the future. Don’t miss out. Join us in harvesting this opportunity. Register now for our First-Look Panel. Qualified investors will receive previews of offerings before they appear on the Main Street Equity marketplace website. Need Capital for your T&L Business?